So, yeah… gotta new hip about two weeks back. The old one was becoming increasingly cranky with arthritis and needed to be replaced. My only regret is that it’s not bionic (and I kept all such jokes to myself—you know the medical staff has heard them all before) but I do find myself making sound effects when I use my walker. Sitting at the PC has been a bit of a chore as a result of the hip replacement. I can only do so for about 45 minutes to an hour before I have to stand and move around, which isn’t a bad thing since that’s about the limit anyone should be sitting at a PC. The crutches and walker are awkward, but otherwise, the new hip is working just fine. So fine, in fact, if all goes well, I’ll get the other one done six months from now. I’m fortunate in that my day job doesn’t require me to move around a lot, so I don’t expect production to suffer too much. 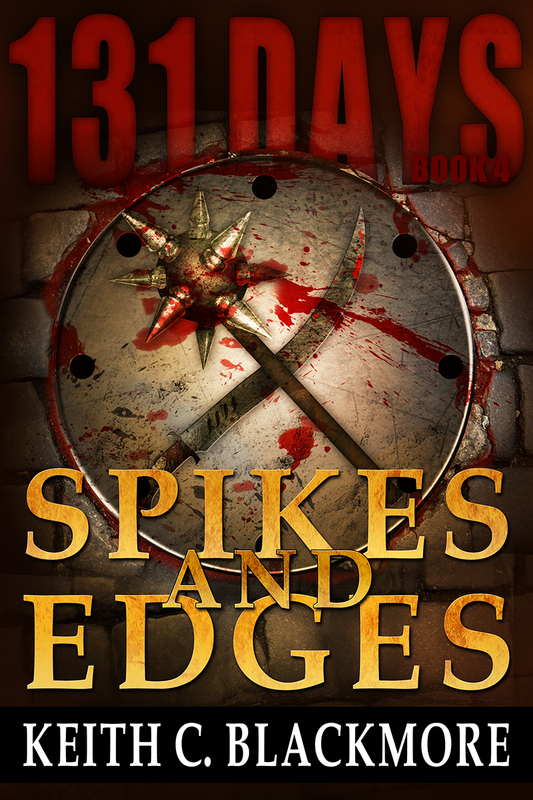 Book 4 of 131 Days “Spike and Edges.” Right now it’s a shorter book (subject to change) around 85,000 words, about 30K lighter than books 2 and 3. I’ll start working on the second draft in a week and maybe, with little luck, all will be finished and ready to go around August or September. I think the book has some surprises in it and will further expand upon the event that is Sunja’s Pit and the fighting season. I have high expectations for book 4 of 131 Days. Book 3 has sold 436 copies, which leads me to believe (and hope!) at least half of you will pick up a copy of the next installment. While I was writing book 4, I realized the potential for other stories within the 131 Days timeline but concerning different characters. That opened up a cookie jar of thinking, as I wondered how many of these alternate tales I could introduce into the main story arc without bogging things down. Because of George RR Martin’s book “A Feast for Crows,” I decided not to bloat the main books with these new, possibly shorter, character threads. However, I have decided to work on a short story or two, to introduce these new characters and see what becomes of them. The short stories will occur as parallel threads alongside the main story of 131 Days and if you don’t want to read them, that’s fine. The gladiators, owners, agents, spies and other cutthroats who appear in the tentatively entitled “Tales From the Pit” won’t have any influence upon the characters within the main 131 Days storyline. However, if they survive, they might very well have brief appearances in later books. So, think of the short stories as historical filler that isn’t required reading. If you buy and read them, you’ll recognize a name or two if/when they appear in the main 131 books. If you don’t read them, you won’t miss out on anything. How many of these will I do? Unknown. 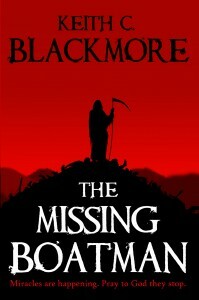 Tales From the Pit will be short reads of no more than 10K each (or so I hope). They won’t affect the production of the main books as I intend to do them only when I have the time and inclination. Might only do one. Might write a bunch. As long as they’re fun and interesting. Other things… Currently working on Breeds 2 and about 15K into it. 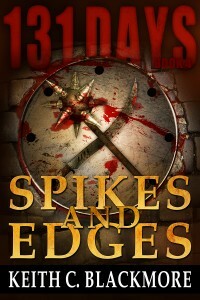 Once I finish Breeds 2 I think I’ll move right into the 3rd and final book of the series. Breeds 2 will pick up a few months later after the events of the first book and will hopefully be a right nasty piece of work. You’ll see. Ah, and speaking of Breeds, I’m in talks with Podium Publishing to produce an audio version. Once the Breeds series is completed and on the market I’ll then focus once more upon 131 Days. I’ve said it many times before, but He-Dog 2 is still in the wings, just waiting to be worked upon. HD2 is a conversion of one of my earlier books which became a chore–the original story was also 160K long (roughly 450-500 pages). I’m trying to remove the excess while fusing newer elements into the existing story. It’s narrative surgery and something I’ve discovered I’m not so keen on doing. But it’s there and some of you have been asking for it, so I’ll try to finish. That’s it. You’re all caught up. Is there going to be an audible available of Well Fed? I have listened to all the MM books and want to do listen to this one too. Hey brother, long time, no talk. Sorry to hear about the old hip going out, and getting a new one sounds pretty painful. I can only presume the new one will hurt less in those cold, Canadian winters you have to endure? Oh yeah, finished Breeds a couple of days ago. Really, really cool book. Looking forward to more of that series! Those covers look great! 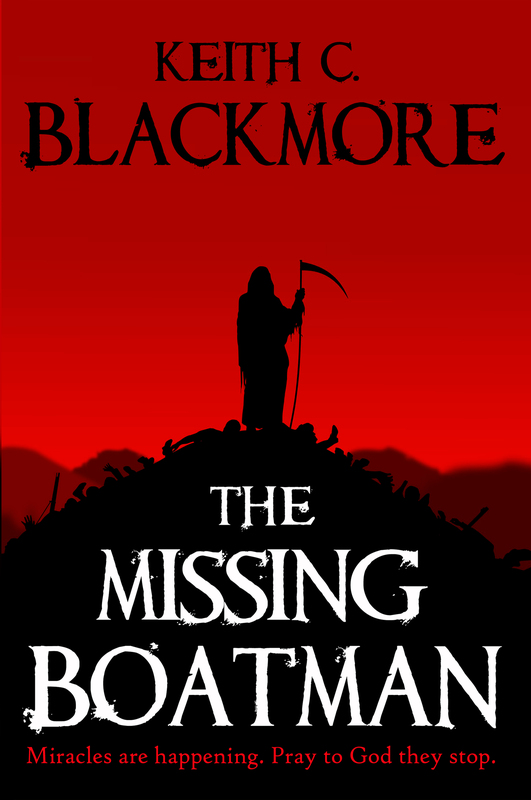 The Missing Boatman was the first i read book of yours. I loved that story. I would like to see some spinoff stories come from the 131 days story. What gives though you cut the legs off one of my favorite characters and now you need hip replacement surgery? But seriously now that you have rack and pinion steering installed you should I hope start getting some pain relief. I hope for a speedy recovery for you. When you get the other side done you’ll have power steering. I just watched the new Terminator movie and I can picture you going down the hallways at work making machine sounds freaking out the locals. Do they look at you funny since Breeds came out and they realized they may have been inspiration for the characters that got eaten?? OK I’m done giving you a hard time. You are one of my most favorite authors and I can’t wait for more of your books to come out, so keep up the good work. May we please have everything you will & have written in audio book versions also? I love your work! As a driver, I have no time for the luxury of flipping pages. thanks for your time, you do Great work! !